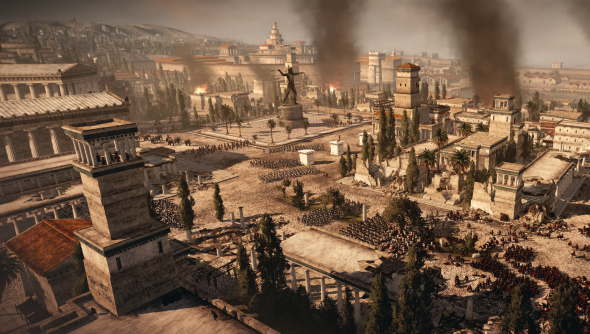 Total War: Rome 2 is out now; here’s our Total War: Rome 2 review. It’s going to be hard to wait for Rome 2: it’s looking very, very special indeed. But settle in; there’s a long road ahead of us. Speaking at the Develop conference in Brighton, UK yesterday, Creative Assembly designer James Russell explained that the game is a long way off, and CA have a lot of work ahead of them. The footage on display in Brighton was a small section from the Carthage demo already seen by the press and select visitors to Rezzed: an amphibious assault that ends with Roman legionaries scaling the walls of the city. It looked brilliant.